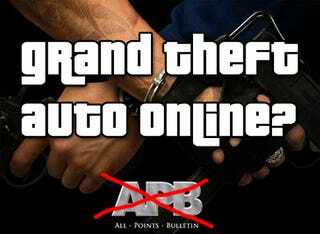 Filed to: GTA Online?Filed to: GTA Online? Put these pieces together. Realtime Worlds made Crackdown. Realtime Worlds are now at work on an MMO called APB, which is not entirely dissimilar to Grand Theft Auto. Realtime Worlds were founded by David Jones, who created Lemmings. Oh, and Grand Theft Auto. Last month, Realtime Worlds bought back the rights to APB from Korean company Webzen, who were originally scheduled to publish the game. Why the buyback? Eurogamer are reporting that, according to "a credible industry source", it was so they could turn around and sell the game to Rockstar, who could then rebadge it as a GTA MMO. Realtime are keeping quiet on the rumours, saying only that they bought back the rights to their game to "give themselves some options".